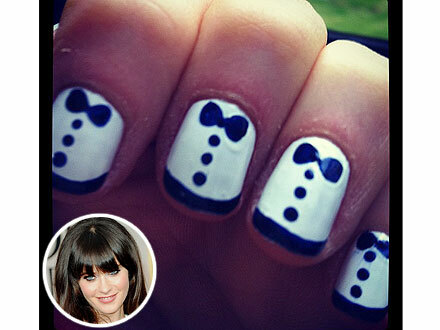 I absolutely loved Zooey Deschanel‘s nails at this years Golden Globes so much I thought I would take a crack at it. Let me know what you think. You did a great job on your nails! Cute blog. Gave you a follow on bloglovin! If you like my blog, it would be great if you could follow back. Happy Friday! Thanks and will follow back.